A churro lovers dream! 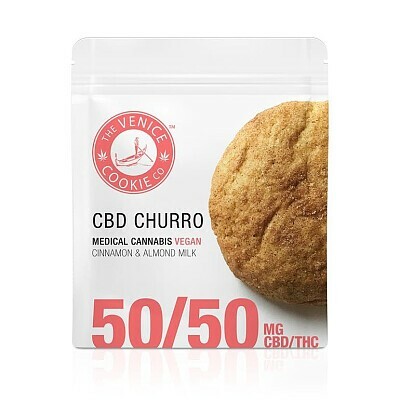 All the flavor of a cinnamon churro rolled up into a delicious, vegan cookie. Be whisked away to your happy place, all while enjoying the therapeutic benefits of CBD. Ingredients: Flour, Sugar, Apple Sauce, Almond Milk, Canola Oil, Vanilla Extract, Cinnamon, Baking Soda, Salt and Cannabis Oil.